Michael Golden says that when it comes to name recognition, the Smith & Wesson brand is as powerful as Coca Cola or Harley Davidson. But awareness doesnt necessarily translate into sales, said the companys new CEO, who wants to take this brand, what he called a ìtremendous assetî and manage it more effectively and profitably. When asked what brought him to Springfield and the corner office of the historic, but recently troubled, Smith & Wesson company, Michael Golden answered quickly and succinctly. "Its the brand," he explained, pausing for a moment  as if to indicate that this might be all needed to say  before elaborating. "Its one of the most famous brands in the country; its a powerful brand, one that I wanted to manage." Golden, who arrived at Smith & Wesson in early December, knows all about famous brands. Hes helped develop and sell several of them during a 25-year career in business. He started at Proctor and Gamble as a unit sales manager, before moving on to Black & Decker, where he launched the Dewalt Accessory line, and, later Stanley Works and the Kohler Company, makers of kitchen and bathroom fixtures and accessories. At each of those stops, he helped grow market share by leveraging, or managing, a highly recognizable brand name, and properly positioning it. And he wants to do the same at Smith & Wesson, a company that has battled back in some ways from years of declining sales in the wake of lawsuits against the gun industry and the companys widely criticized settlement with the federal government, but has historically struggled to take full advantage of its famous name. Golden, the subject of this months BusinessWest CEO Profile, is the publicly held companys fourth president in the past six years, and the latest to take on the assignment of translating brand recognition into sales and profits. He is addressing that task with a broad strategic plan that includes everything from NASCAR sponsorship to heightened lobbying efforts in Washington and elsewhere designed to help Smith & Wesson capitalize on many post-9/11 global developments, as well as a broad emphasis on security and public safety. The companys name now sits on the hood of the # 30 car, driven on NASCARs Busch Series by Scott Riggs. Its there to gain the attention of the sports huge fan base, which features demographics that mirror the target audience for the gun industry. "We think this is going to be a great fit for us," Golden said. "This is an effective way to reach to reach out to a large, very brand-loyal audience." As be builds visibility for the brand, Golden will also focus on sales, which have been improving  third-quarter numbers were up 12% over the same period a year ago  and will be driven by the companys ability to penetrate new markets and build better, stronger relationships in existing markets. Golden has already made several trips to Washington, where he has lobbied decision-makers to consider Smith & Wesson products when arming the 1.8 million servicemen and women across the globe. He has made similar pitches to law enforcement agencies across the country. And while the Smith & Wesson name is well-known, he explained, it does have its limitations, noting that recent attempts to many sell items with the companys name  from watches to police bicycles  have had only limited success. Moving forward, the company will focus its attention on four key areas  safety, security, protection, and sport, he said. "And they provide us with plenty of room to grow." Golden added that he approaches his latest brand-building assignment with equal doses of confidence and realism. The former is a byproduct of his past success with other top-tier brands, while the latter comes out of recognition that the gun industry is a highly competitive environment, where history and nostalgia only go so far. As he talked with BusinessWest about his goals for Smith & Wesson and how he hopes to achieve them, Golden said he wants to borrow from experiences earlier in his career. At Black & Decker, for example, he was charged with "creating excitement," as he put it, for the companys new brand of power tools and accessories, Dewalt. At Stanley, meanwhile, he said, he "learned how to manage a company." And at Kohler, he said he gained experience in "protecting" a brand by taking cost out of the company and properly positioning the cabinet businesses he directed. Golden actually had two stints at Kohler. The first came in 1996, when he served as vice president of sales, customer service, and distribution of its North American Plumbing Division. There, he grew sales from consistent, low-single-digit increases to double-digit jumps for two consecutive years. He also restructured the sales team, as well as customer service operations, moving from 14 independent sites to one centralized location. That assignment followed a 15-year stint at Maryland-based Black & Decker, where he started as vice president of the so-called "Home Depot Division," and eventually rose to VP of the Canadian Power Tools Division and then VP of sales and marketing of the North American Accessory Division. During that last stop, he was responsible for sales, product development, and marketing programs for the Dewalt Accessory line, which included drill bits, saw blades, and related products. In 1998, Golden went to work for Stanley Works, the hardware and tool maker in New Britain, Conn. There, he served as president of its Industrial and Construction Sales division. Specifically, he was responsible for a sales and organizational development of four business units, Stanley Hand Tools, Bostitch Fastening Products, Stanley Hardware, and Petro Mechanics Tools. During his second stint at Kohler, he served as president of the cabinetry sector, where he was responsible for two separate businesses with combined revenues of $200 million. Golden said he wasnt necessarily looking for work  he was doing consulting work for a private equity firm  when he was approached by a recruiter about the Smith & Wesson position. "I wasnt a shooter, and I admit to not knowing much about the gun industry," he said. "But I was intrigued by the brand, and Ive learned a lot about leveraging brands." Since joining the company, he has been actively engaged in learning about the gun business  hes even fired a few of Smith & Wessons products at its shooting facility  and going about the task of more effectively leveraging the brand. Hes also trying to take a company that has seen some recent turmoil  especially in the CEOs chair and the Board of Directors and provide a measure of stability. Golden succeeds Roy Cuny, who left Smith & Wesson last fall to join Charlotte, N.C.-based stun-gun maker Stinger Systems (Cuny subsequently left that company late last March, citing a difference of opinion with the CEO). Cunys stint lasted less than two years, and came after the departure of Robert Scott, the former head of sales and marketing for Smith & Wesson, who assumed the corner office when the Arizona-based company Saf-T-Hammer, which he joined in 1999, completed a fire sale purchase of Smith & Wesson from British giant Thompkins PLC in 2001. It was Scott who led the company through the public relations  and sales  fallout that accompanied the companys March 2000 agreement with the federal government that effectively removed from Smith & Wesson from many of the law suits against the gun industry in exchange for several concessions. Golden acknowledges the rocky recent past, but says his focus is clearly on the future and doing more with a brand he says has been "undermarketed." "Historically, the company hasnt done all that it can with its brand," he explained. "I want to change that." Discussing his new brand, Golden said that when it comes to name recognition, there are few peers. Coca Cola, Harley Davidson, and Ford come to mind, he said, adding quickly that those companies, like Smith & Wesson, know that awareness doesnt always translate into sales. "Awareness and perception are two different things," he explained. "We dont want people to simply know about our products, we want them to feel good about our products. "People hear our name and they know we make guns Ö it doesnt matter whether you like guns or not, you hear our name and you know what we do," he continued. "Thats something to build on; we have to take that awareness and drive sales." The methods for achieving that broad goal will be outlined in a new three-year strategic plan that will be rolled out later this month. 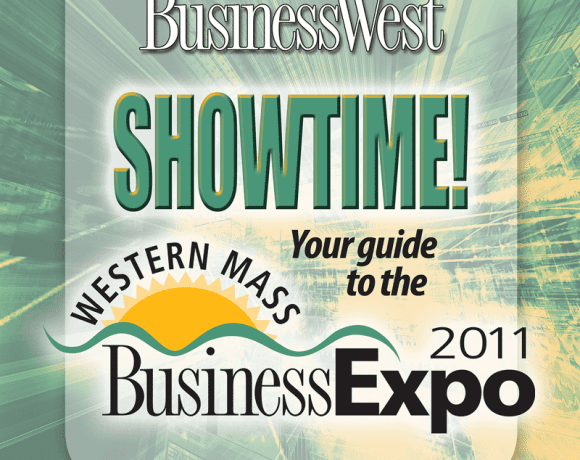 Golden touched on some of the highlights for BusinessWest. The plan includes a number of broad and specific strategies for marketing, sales, new product development, and eliminating cost from operations, he said, noting that with many initiatives, the clock started running on Dec. 6, the day he took over. On the sales side of the ledger, Golden said, the company will target several audiences, especially the three that offer the most growth potential  law enforcement, the federal government, and foreign governments. Smith & Wesson has lost market share in each area over the past several years, and will be aggressive in its efforts to get it back. "We dont do a lot of business with the federal government at the moment," he explained. "We want to get more, obviously, and as we lobby for contracts, were going to stress both the quality of our products and the fact that doing business us will keep jobs in this country." Indeed, many government agencies and police departments have given contracts to foreign gunmakers, including Beretta, Glock, and Sig Arms, he said, adding that to get these former clients back, the company must stress more than the Made in the USA label. "We have to show them that we can compete with anyone," he said, "and I believe we can." The broad sales strategy involves not only new and existing markets, said Golden, but also core products and new items that fall into those categories he outlined earlier  safety, security, protection, and sport. This list includes everything from handcuffs to safety goggles to hunting knives. It also includes includes development of less-lethal products such as mace and stun guns. As for marketing, the company wants to reach out to the many different types of customers it has  the constituency groups include end-users, dealers, and distributors  with messages that speak about both specific products (several new pistols are selling well), and tradition. The NASCAR Busch Series car sponsorship will play a lead role in that mission, he said, noting that the sports enormous fan base is young, largely conservative, and outdoor-sports oriented. Golden noted that it may be hard to eventually quantify the results of the car sponsorship  much depends on how well the team does and how much air time Riggs Chevrolet gets on TV  but he believes it will prove a sound investment. "Were excited about this," he said. "Were going to get some good exposure that should drive additional sales for us." As he discussed Smith & Wesson and his plans for it, Golden used the word legacy to describe both the companys workforce and the products it makes. "Many of our employees are following their fathers and the grandfathers in working for Smith & Wesson, and when you walk through the plant and talk with people, they take pride when they tell you how long theyve been here," said Golden, adding that, likewise, generations of the same family have put their trust in the companys products. His role as CEO is to build on that legacy through greater, more effective leveraging of the brand. "The question for us is, how do we take this incredible asset and use it to grow our company?" he said.